ZIMBABWE – Youth and empowerment minister Patrick Zhuwao should “be strongly reprimanded for advancing extortionist policies on already over-burdened and struggling companies”, the opposition MDC-T party has said. Zhuwao, President Robert Mugabe’s nephew, has threatened to impose a 10 percent levy on foreign companies which he claims will force them to comply with the country’s indigenisation laws. He also claims the levy would raise funds for youth empowerment programmes. But the MDC-T expressed “extreme displeasure and disappointment” with the approach in a statement Friday. 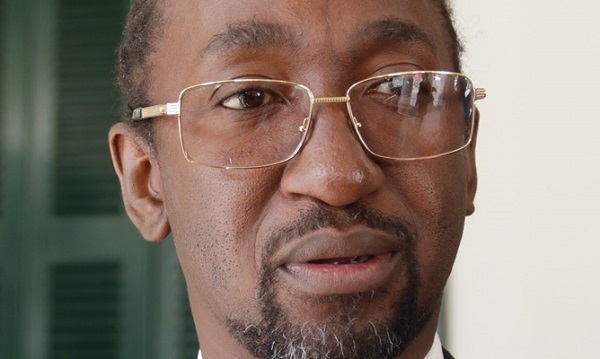 “The Minister’s draconian proposal is not only retrogressive but it will most certainly cripple the few companies that are still operating in Zimbabwe,” said party spokesman Obert Gutu. Zimbabwe has struggled with a debilitating economic crisis lasting more than a decade which has seen company closures with unemployment spiking to more than 85 percent. The crisis was partly due to policies such as those currently being pushed by Zhuwao. “Decades of rampant corruption and misguided economic policies combined with gross mismanagement and thievery by the Zanu PF regime have already reduced capacity utilisation to around 34% in industry,” said Gutu. He added: “The proposed new levy, coming on top of a myriad of other levies and taxes, will cripple the few existing foreign firms who are going to be forced to pay. “The MDC finds it extremely absurd that Zhuwao would exhibit such kind of archaic and medieval thinking that is essentially centred on illegal and unconstitutional asset-grabbing. Gutu also questioned Zhuwao’s claim that proceeds from the levy would fund youth projects around the country. “The move by Zhuwao is blatantly criminal and unconstitutional and thus, it should be strenuously resisted by all right-thinking and patriotic Zimbabweans,” he said. Compared to the last two empowerment ministers, Zhuwao has signalled a more robust approach to forcing compliance with the indigenisation laws. The MDC-T however said the minister was being unruly. “Zhuwao should be advised not to conduct himself like a bull in a china shop,” said Gutu. “He should sober down and desist from being delusional and excitable.